Our friends at The Company Store have shared some cute printable Thanksgiving cards they have available at their website this season. 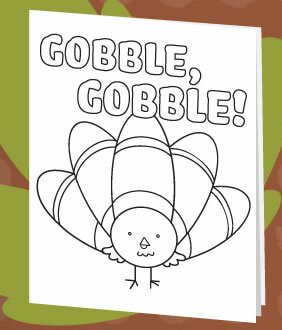 Print out a bunch and let the kids color in cards for all your Thanksgiving Day guests or get creative and turn them into place holders at the Thanksgiving table or use as decorations. 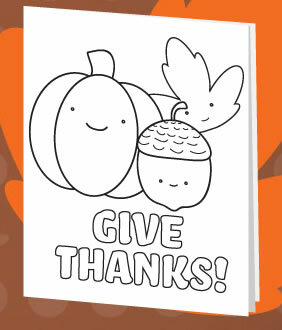 Don’t forget to check out the rest of our Thanksgiving printables and crafts!